Dr. Max Linder, physician emeritus with our group, is a Lincoln native and was raised in Plattsmouth, Nebraska. 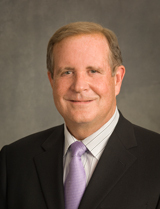 He is board certified and specializes in cataract and refractive surgery. He received his medical degree and completed his residency in Ophthalmology at the University of Nebraska Medical Center. Dr. Linder is a Fellow in the American College of Surgeons, a member of the American Academy of Ophthalmology, American Society of Cataract and Refractive Surgery, Nebraska Medical Association, Lancaster County Medical Society and Nebraska Academy of Eye Physicians and Surgeons. Dr. Linder retired in the Spring of 2017 and we are so grateful to have had his leadership for so many years. Dr. Linder and his wife, Pat, have three children. He enjoys golfing, hunting and traveling.